Sebastian Inlet pier to close overnight due to large waves from Hurricane Florence. SEBASTIAN – Sebastian Inlet State Park officials said the jetty will be closed Wednesday from 6 p.m. until Thursday afternoon due to large waves predicted by Hurricane Florence in the Atlantic Ocean. The National Oceanic and Atmospheric Administration told Sebastian Daily that a high-pressure ridge caused by Hurricane Florence is expected to create waves of up to 12 feet at the Inlet during the overnight hours. 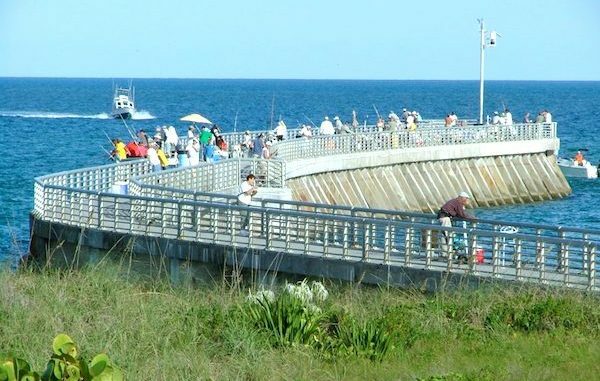 “To ensure public safety, Sebastian Inlet State Park will be closing the North Pier/Jetty at 6 p.m. on Wednesday, September 12, and it will re-open on Thursday, September 13 at 3 p.m. after it has been inspected and deemed safe. This closure is due to forecast large wave heights,” the Sebastian Inlet District said in a statement. As of Wednesday morning, Hurricane Florence remained a strong category 4 storm as it moves closer to the United States. Airlines have canceled more than 600 flights because of the storm. Florence is “expected to bring life-threatening storm surge and rainfall” to North Carolina, South Carolina, and Virginia, the National Hurricane Center warned.